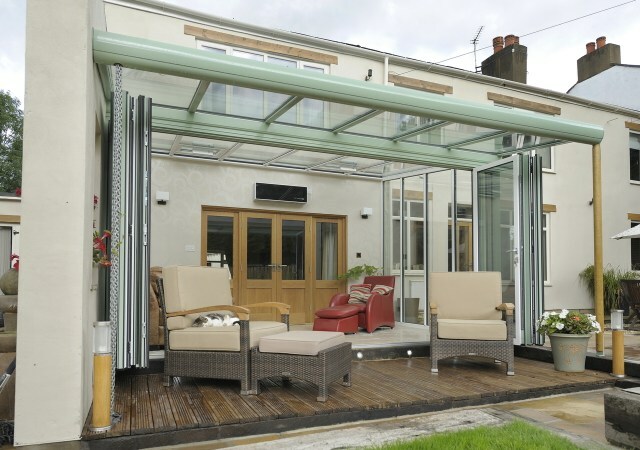 The Veranda conservatory from Ultraframe has glazing bars in the roof oversail and carry the glass with it to form a ‘cocoon’ where the homeowner can sit in the garden and be protected from the worst of outdoor elements. 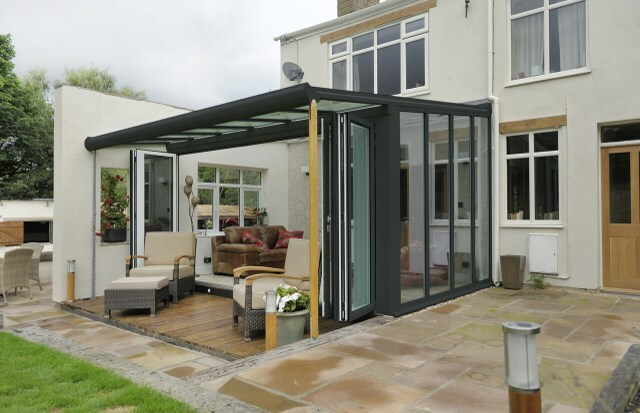 It can also be used on a warmer day in summer by using large in line sliders or bi-folding doors allowing the homeowner to have a much bigger space to enjoy – perfect for family barbecues! 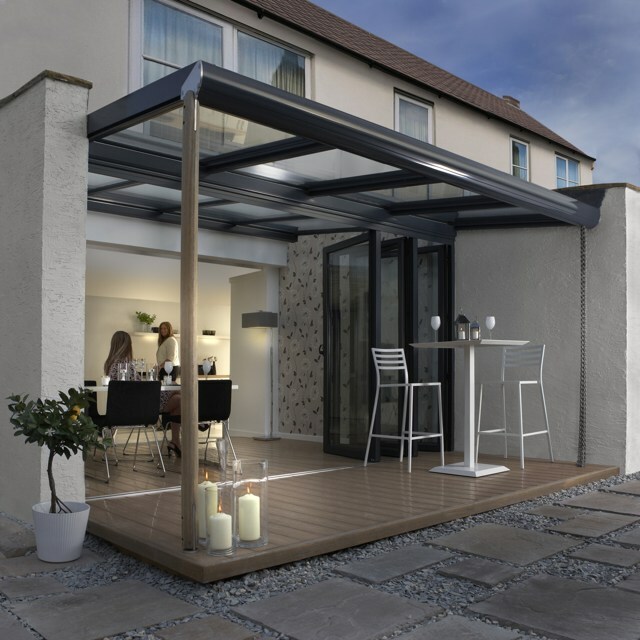 The light, bright and airy interior will add a new dimension to any home and provide a seamless link between the home and garden. Colour can also be used on the top of the room and frames and applied in a number of different ways. 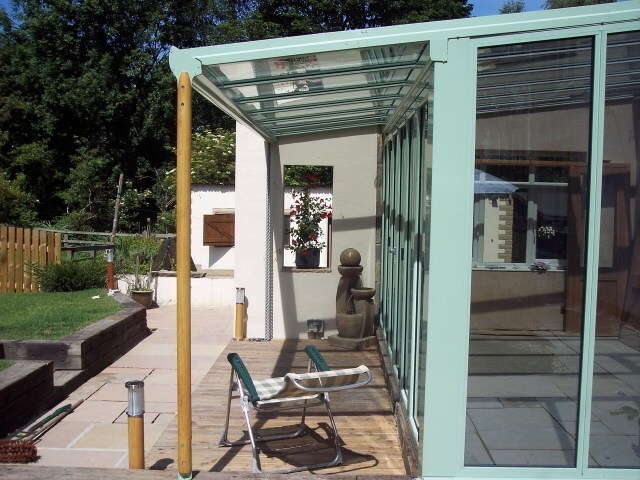 The Veranda bean is constructed from powder coated aluminium and acts as an integral gutter and support beam with the posts being part of the structural package. Posts are available in aluminium or oak with the oak post coming complete with gasketed stopends and splice plates to connect to the base.